Dyne Testing offers a range of surface cleanliness test kits – including the Bresle Test Kit, Salt Contamination Kit and the SSM Soluble Salt Meter. Bresle Test Kit Tests the level of contaminants on a surface prior to application of the coating to ensure the best quality of the coating and that its optimum lifetime is achieved. 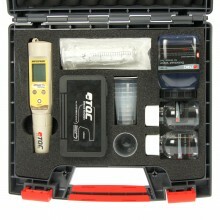 Salt Contamination Meter – SCM400 The original Amec SCM400 for measuring the level of soluble salts on a surface. Soluble Salt Meter for measuring contamination of soluble salts on blast-cleaned surfaces prior to coating but with the added bonus of a very short test cycle time. 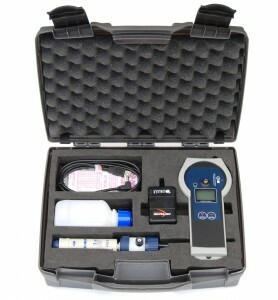 An approved alternative to the Bresle Test Kit.